It’s been a while since our last showdown, and we’ve wrestled with how we are going to handle IPA for a long time now. Initially, we thought about trying to get the best of the best IPA from around the country and compare them all blind. The challenge there is it’s nearly impossible to get beer from all over the place, at an acceptable level of freshness, in one place at one time. Plus, as fun as it is to read about a magical elixir from a brewery thousands of miles away that drinks of pure unobtainium, what about something a bit easier to come by? 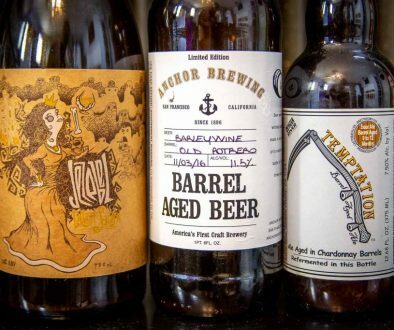 Enter the CA Shelf IPA Showdown! These beers are all from California. They’re all IPAs and all widely and readily available. Hell, they’re probably sitting in your local grocer dying a slow painful death. So we set out to determine the king of the hill. While we knew which beers were in the pool, we had our good friend Dr Zack administer the tasting for us totally blind. We didn’t know what we were drinking when we rated it, and we revealed at the end. 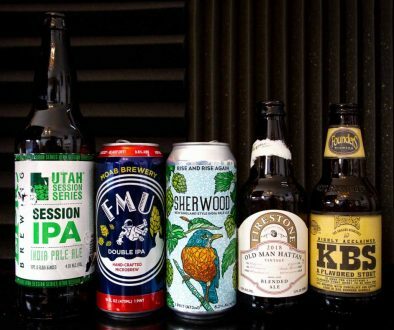 We each rated the beer 1-100 using our completely arbitrary personal preference scales, and averaged those ratings to get a total. All of these beers were well within acceptable freshness range (The oldest bottle had a bottling date of 2/9/2016 which was less than 2 months before recording) and were purchased at our old standby Gerrard’s Market in Redlands, CA. All of the beer at this store is kept in a walk in cooler, so conditions were about as ideal as we’re going to get. But all of this beer was purchased, by us, off the shelf, and not provided by the brewery. Lagunitas IPA may hail from California, but you can probably get it at your local gas station. This beer is available in 48 states in the US, and likely the only IPA on at the janky bar down the way from you that got one of these IPAs that people keep talking about. In this field of CA standbys, Lagunitas disappointed. We were impressed with the clarity, but minimal hop presence combined with a maltier than average backbone and astringent flavors led this beer to rank a full 10 points below the next lowest ranking beer. Probably the only beer more ubiquitous than Lagunitas IPA is Sierra Nevada’s venerable Torpedo. This beer is available in all 50 states and Washington DC! It’s also doing pretty poorly against it’s CA born peers. We thought the beer was appropriately old school. Aroma notes included citrus, pine and crackery sweet malt character, but the flavor fell flat with our field. Too much sweet caramel malt, limited hop presence and an overall flat, bitter character dropped this standby near the bottom of the field. Stone IPA is a standby in California and beyond, acting as an aggressive example of the West Coast IPA style. We found it aggressive indeed – flavor descriptors include words like bracing, challenging, boozy and unrefined. While overall we enjoyed the beer, we found the rough around the edges approach to IPA to be limiting and knocked it down in the field. AleSmith IPA has been discussed on 4B before in a Going in Blind segment. It continues to vex the show, convincing Greg that he was drinking Stone IPA until the reveal showed him to be dead wrong. This beer scored high marks from John and Jason for being a classicly bitter “San Diego style” West Coast IPA, but didn’t do as hot with Matt and Greg. Racer 5 from Bear Republic has been the low key stand by west coast IPA for several years now. We were able to pick out a lot of different aroma notes, and kept finding different aroma descriptors the more we tried it. While it registered high notes with most of our crew, Jason was a dissenter and was so put off by the odd sweet aftertaste and diesel aroma notes that he knocked it down to his 3rd lowest beer of the day. Jason’s 66 score knocked it down from an 83.83 (and second place) into 5th. From a beer that has roots tracing back into the 1990s, Racer 5 made a very strong showing. We went in depth comparing Alpine Duet vs. Green Flash Duet way back in season 2, episode 32, and we had high praises for both versions then. Some might think that having the smallest distribution footprint (even after the Green Flash acquisition) would give this beer an unfair advantage, but the gang was divided on this beer in this showdown. Jason and John really liked it and considered it an above average beer. Greg and Matt, on the other hand, thought it was fairly ho hum. In the end, Alpine Duet scored solidly and placed above the middle of the field. While it kinda seems like a double up to have Green Flash and Alpine in the same showdown, the West Coast IPA is a classic and acts as a solid representative of the style. But you wouldn’t know that to listen to our notes, as we made it a huge point to talk about how not West Coast the beer is. It was a bit maltier and danker than we expected, and while our initial reactions were a bit reserved, upon digging into our glasses we came to really enjoy it. We didn’t absolutely love the aroma, but the flavor really brought us around. Between this beer and Alpine at number 4, Green Flash made a strong showing as a brewery. Sculpin is the beer that really put Ballast Point on the map after their World Beer Cup Win in 2010. It quickly rocketed from a limited seasonal beer into a flagship and now one of the most readily available IPAs in the markets that get Ballast Point. An established favorite with Jason, this beer impressed the gang with it’s more modern IPA style and tropical fruit notes. Greg appreciated the malt character while Jason liked the lingering dankness. It hit everyone’s palate in a just the right way that took led it to barely edge out the competition from Green Flash. Union Jack is considered by Matt to be the Rodney Dangerfield of the California IPA world. While very widely available, it does not usually get a lot of accolades from the beer world. It also suffered from being the oldest beer in our flight, bottled on 2/9/2016! Despite that, this beer wowed us. We loved the aroma, and loved the beer in just about every way. It seemed to walk the tightrope between malty and dry, hoppy and bitter, and came in right in the sweet spot for our palates. It was the second highest rated beer from John, and the highest rated from Matt, Jason and Greg. Despite being counted out by Jason going into the showdown, Firestone continues their dominance in 4B Blind Showdowns and tops the podium again. We promise we’re not getting kickbacks from them, you guys.